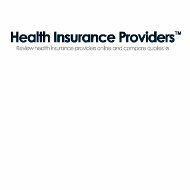 This American Industries health insurance company review is based on the former American Industries Life Insurance Company of Houston, Texas. The company was first established in 1971 under the name New American Industries Life Insurance Company. Detailed information about American Industries is sketchy because they were required in 2007, by a private equity firm and now operate as part of the Forethought Financial Group. To see competitive health insurance rates in your area enter your ZIP code below right now. According to records from the Texas Department of Insurance, American Industries was acquired by Delaware based FSS holdings, Inc. and moved their records and books out of the state of Texas. It is at that time the name was changed to American Industries Family Life Insurance Company under which they continued to operate until the 2007 acquisition. It is unclear whether the company continues to operate today under its own name. It is possible it has simply been absorbed into its parent company and the old entity dissolved. Before the company’s initial acquisition by the Delaware firm, American Industries offered mainly life insurance policies and insurance services to funeral homes. With so little information available, it is difficult to determine whether they actually sold health insurance. As far as Forethought Financial Group is concerned, their primary line of business is providing insurance products to funeral homes. These products include “at-need” insurance to assist the families of deceased individuals in paying for funeral expenses. In addition, the company also deals in annuities and other forms of life insurance. Forethought Financial Group administers its business through a team of independent agents and financial institutions throughout the country. For example, they offer their annuities through banking institutions; funeral directors become the agents for the at-need burial policies; independent agents handle the company’s senior life insurance policies. The company provides a link on the Forethought website for individuals and businesses who wish to become agents. There is of short fill-in form that is submitted online, which will be followed up by a phone call from a company representative. Other than that, there is little information available about American Industries/Forethought agents. Filing a claim for an American Industries policy is a process that depends heavily on who your agent is. In a burial scenario, your claim would be handled directly by the funeral director from whom you purchased the policy. Life insurance and annuities would most likely be handled directly through the corporate office. For specific details about how to file a claim, you should call the corporate office or your agent as soon as possible. Although it cannot be said for certain that American Industries consistently has a difficult time with their claims service, it should be noted that a quick Internet search shows them involved in litigation several times over the last ten years. Most of the litigation revolves around allegations that the company paid out on claims improperly. It is possible that the litigation has some bearing on the current state of the company. Essentially, it would seem that American Industries no longer exists as a corporate entity. A search for financial ratings only turned up results for parent company Forethought Financial Group. The ratings for Forethought are generally good, A’s or better across-the-board. Forethought is on good financial footing and has a stable outlook for the future. Lastly, we note that the American Industries Life Insurance Company website no longer exists. The domain name, which was at one time registered to a Houston-based company, has been allowed to expire. Attempting to visit the site today redirects the browser to a page that says the domain name is currently available for purchase. Health insurance quotes from top providers are available right now, if you enter your ZIP code below.